I pretty much limit my diabetes blogging these days, except when I think there's something REALLY important or unique to share, although much of what I began with now has several nonprofits and organizations to advance the issues. Most of my diabetes-related stuff these days can be found on my Twitter feed, which is updated pretty much daily. Still, when I need more space to share information, this blog is still where I turn. As I last blogged a few weeks ago (see http://goo.gl/mi5nEm for my post), I was very sorry when my good friend Kitty Castellini passed away, not from diabetes or diabetes-related issues, but from a type of cancer. Her passing is truly a loss for the broader diabetes community. That's one reason I'm dedicating my post for today to her. Kitty was unique for her concern about some under-served segments of out community, and I thank Kitty for that! Incidentally, I did tell Kitty about this before she passed (or more specifically, I told her husband to share the news with her, but she was already pretty ill by that time, but I hope she was pleased to learn of it -- I think she would be). 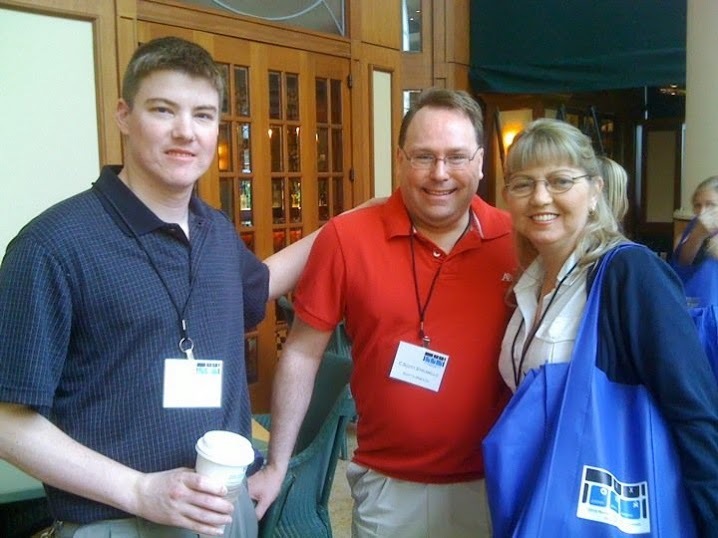 Several years ago (in 2010), a bunch of us attended a diabetes social media conference which if I recall correctly was hosted by the pharma and medical device giant Roche (I think the one was held in Indianapolis). One of the heated discussions that came up in that meeting was one that Kitty demanded to know more about: what the company was doing about blood glucose meters for the visually-impaired. Virtually all of the big manufacturers including Roche, Johnson & Johnson, Abbott, the former Bayer unit (now known as Ascensia Diabetes Care if I'm not mistaken) and others have basically abandoned that market, even though they all have a social obligation to do so in my opinion. Kitty was the ONLY person at the event to raise that issue at that meeting, and Roche really had no good response. Still, the visually-impaired market is a relevant and important segment, its just that the big manufacturers don't see a social obligation to serve that market I guess. That, I think, was a good example of the kind of person Kitty was: concerned for others in the diabetes community. Anyway, I seldom (if ever) review products because that's never been why I started blogging in the first place. But a few weeks ago, I received an email from a company trying to compete in the blood glucose testing space, and what intrigued me about the product was not their mobile phone apps or even their meter's Bluetooth capabilities (even though those are interesting), but the meter's audio which indeed enables the visually-impaired (and others) to test their blood sugar levels by themselves and to know the results without assistance from someone with vision. The company is called Foracare and they have U.S. headquarters in California, although they manufacture their products offshore (the product I tested was made in Taiwan, not mainland China, which is interesting itself). Specifically, I tested the product called the Foracare TN'G (for Test N' Go) Voice blood glucose meter and test strips. The basics of the product are pretty standard, although I compared the results to both meters by Roche and Johnson & Johnson, and guess what? The results were pretty darn close, and that presumes that the Accu-Check or OneTouch meters are any more accurate to start with, which is actually a big presumption in the first place. Suffice to say, I felt the accuracy of this meter and strips was quite good, and compared very closely to other major brands now on the market. More importantly, however, is the fact that test results are read aloud to the user in audio, which I told the company I thought was a relevant fact that they were not marketing previously (now, they are!). I also gave some feedback on apps which weren't specific to theirs, but apps generally, and my take is that an app isn't useful unless it either does something that cannot be done now, or saves on the laborious data-entry process that's expected of the diabetes population. As I understand it, the Bluetooth capability also enables the results to be transmitted to a smartphone, though I did not test that as I wasn't really interested in that product feature. All said, I would say that this product would definitely serve the needs of the visually-impaired diabetes market very well, and the accuracy is comparable with the big brands. Also, the product is not only a viable competitor to big-name brands, but the company seems interested in what patients are asking for, at least from what I've seen. I did struggle a bit with the audio defaults myself (then again, my hearing isn't the greatest, so not everyone will have difficulty with this), and it IS possible to increase the volume that readings are given to users, although its buried on page 14 of the manual http://www.foracare.com/testngo/FORA-TNG-Voice-manual.pdf) so just beware of that. I would say that a CDE or doctor's office may be able to assist patients with a legitimate need, but once I figured that out, I was pleased. At present, the audio options are available in English and Spanish (sorry for my Canadian friends seeking a Francophone option right now). In fact, there's a button inside the battery compartment that enables you to adjust the volume and some other settings, just push that a few times and volume comes up there) Still, this is a hugely under-served market, and having a product available today serves an unmet need that was (and still is) all but ignored by the big manufacturers. I did ask at the Roche Social Media summit a few years ago about Bluetooth capabilities, and they suggested that does seem to be the direction that meter manufacturers seem to be moving, which would to enable any Bluetooth-enabled meter to feature vocal applications, technically, anyway), although no company I am aware of has yet enabled this basic feature. Frankly, that seems kind of like a lame excuse for a business decision to abandon the visually-impaired market. However, in all, I am very comfortable recommending the Foracare TN'G Voice blood glucose meter and test strips to people with diabetes (PWD's) who are visually-impaired. Its accuate, and the product offers something no big manufacturer does: the meter reads in audio the test results to the user. That said, what about the meter and strips themselves? Well, no calibration is necessary (thankfully that seems to be most all strips/meters these days, the fact that it was ever required was because manufacturers were lazy FYI), and the sample size required is tiny (0.5 microliters), plus it takes just 5 seconds or so to get a reading. Again, most of that seems to be pretty standard these days, at least from big meter companies. The Bluetooth app is an interesting, and potentially valuable, feature, but it does require the readings to be uploaded to the manufacturer-hosted site, and I have not investigated whether results can be downloaded into a spreadsheet or csv file, an area of ongoing frustration for PWD's. As for insurance coverage, that seems to be an area the manufacturer is still working on. But, I do believe that all insurance companies must offer coverage for a meter with audio if a person is visually-impaired regardless of the formulary brands under a plan (in other words, if a formulary brand doesn't have a meter the blind can use, they're obligated to cover one that blind patients can use). How that is handled via appeals and the like, I'm not terribly familiar with, but as I understand it, its guaranteed under Federal law (imagine an insurance company that would not cover a wheelchair for someone who could not walk ... that's the equivalent in this case, of not covering a meter and strips that will read test results for someone who is blind), but for others, I think some work remains in terms of coverage for other insurance plans, so just beware of that, and I have not investigated Medicare issues, although aside from the mail order issue that DPAC http://diabetespac.org/ is already working on (search for the campaign to "Suspend Medicare's Competitive Bidding Program For Diabetes Testing Supplies"), gaining coverage via insurance is a more laborious process for the company. I should also note while I'm on this subject that there is another meter/test strip brand that offers speaking meter that provides audible test results. A press release came out in 2013 about (see the release at http://bit.ly/2b74UIN for more details). Its called the Gmate® VOICE system from a company called Philosys, Inc. based in South Korea, and they have a webpage with details about their voice meter which can be found at http://www.gmate.com/voice. I have personally never tried that meter, so I can't comment on it, and I also don't find their test strips in pharmacies anywhere although I believe they are actively selling it outside the U.S., but I can't really comment on how easy or difficult it may be to get their products, but readers may be interested in knowing it exists. 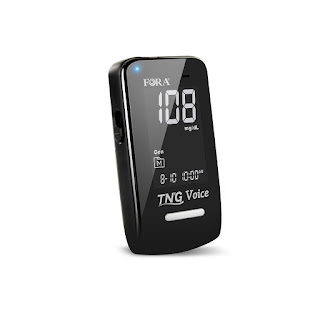 In short, I realize PWD's pretty much choose the formulary brands because there's a huge financial incentive to do so, but for people with visual-impairment today, the Foracare TN'G Voice blood glucose meter and test strips is a great option. In the future, once they get on Medicare's and various insurance company formularies, others may opt for these products, too. They are quite accurate and good quality, too.